The National Association of Black Journalists (NABJ) will host its 2017 Region I Conference at the Annenberg School for Communication on the beautiful campus of the University of Pennsylvania. Hundreds of journalists, communication professionals and students from across the U.S. Northeast are expected to attend the two-day conference. In addition to discourse on diversity and inclusion, attendees will actively turn ideas into reality with the opportunity to collectively contribute to new trends and innovations that can invoke change through various entities within the communications sector. The conference will highlight innovation projects across the country and will feature the various projects happening in Philadelphia i.e., Comcast's Innovation and Technology Tower, University of Pennsylvania's Pennovation, Drexel University's Schuylkill Yards and the Science Center's uCity Square Project. There will also be a focus on innovative blueprints media companies, colleges and universities have crafted to take their information outlets into and beyond the 21st Century. The conference will also serve as a bridge for community members and leaders as their areas may ultimately be affected by these projects. 6:00 p.m. - 9:00 p.m. Opening Reception-CODE Red Party! Description: Philadelphia Mayor Jim Kenney formerly welcomes the Diversity, Innovation & Technology Summit to the city. Description: As it seeks to be the epicenter of innovation and collaboration between the private sector and top-tier research institutions, learn how the Science Center's 10-year $1 billion innovation project plans to redevelop portions of West Philadelphia, engage the community and transform the area into an innovation hub. Description: Numerous technological, economic, and cultural changes over the past several decades have impacted journalists and journalism organizations, leading some to describe it as a “crisis.” This panel documents these changes, as well as innovative responses to them. Description: Tech leaders and insiders talk need for diversity and inclusion in the area of innovation and why it should matter to journalists. Christopher Gray, founder of Scholly app and contestant on NBC's Shark Tank. Description: LGBTQ visibility is becoming more relevant within our overarching fight for diversity from within our community. But what does this actually mean for our newsrooms and how can we ensure it's improving throughout our black media coverage? This workshop is geared toward improving skills-based training on the topic and beyond." Description: Coding is what makes it possible for us to create computer software, apps and websites. Your browser, your OS, the apps on your phone, Facebook, and other popular social media sites are all made with code. Journalists will learn the basics of coding and how it can further their career. Description: As tech tools continue to evolve, the need to incorporate data to reporting hasn’t. This panel delves into social news gathering tips and digital reporting. Want a digital job? It will touch on that too. 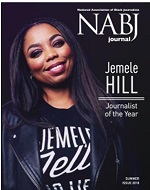 Description: Black Millennials (Generation Y) working in online, print, and broadcast formats discuss the value of the Black Press and discuss what Black-owned media outlets need to thrive beyond the 21st Century. 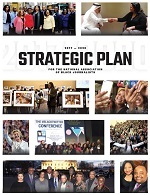 Description: Political, media and nonprofit heavyweights provide critical strategies for the African-American demographic in sustaining the group's foothold during this current president's administration. Description: In our days of shortened attention spans, telling a great story is an important piece of journalism. Interactive design experts James Vanié and Regine Gilbert will discuss the importance of words and their implication on actions. They will focus on the way words expand language in a time when you have to get your point across in millisecond or in 140 characters or less. Afterwards, Jarrad Henderson will lead a hands on demonstration on how to use some of today's tools to unleash your inner :60 second storyteller. Description: Compelling details and relatable topics often outweigh geography in grabbing the interest of readers, listeners and viewers. But how do you make people care about a story no matter where they live? Journalists who work for national news organizations will offer guidance on how to identify and craft stories that appeal to a national audience. The Associated Press, which has 170 years of experience producing national stories, is the session sponsor. Jesse Holland, Washington Reporter, The Associated Press, Washington, D.C. Description: Learn the importance of the $3.5 billion Schuylkill Yards and Inclusive Development project to Drexel University as a driver of innovation and how it could help bolster journalism and develop the West Philadelphia area as an innovation hub. Description: The 23-acre lot where the multi-billion dollar research center sits formerly housed DuPont's Marshall Research Labs is where Penn hopes to break science barriers and raise the national profile of its research initiatives by setting up worthy partnerships. Learn how this project can help advance journalism and where West, Southwest and South Philadelphia communities fit into its plans. Description: Think you know it all when it comes to Googling it? Guess what: There are some Google tools that you may have never seen or realize how they’re useful for journalists. In this hands-on session you'll take a deeper dive into tools and workflows that can help you produce better stories, generate ideas for your beat, and more. Come with your laptop and leave with some new skills. Participants should have a free Google/Gmail account set up in advance. Description: Three leading experts in transforming journalism ideas into viable enterprises will share tips on how to use technology, innovation and just plain hard work to turn your media idea into a media business. And get paid!